BRYAN EATON/Staff photo. 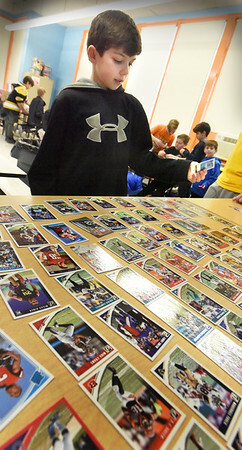 Ben Howshan, 10, looks through sports cards before making his choice of New York Giants running back Saquon Barkley. He was at the Boys and Girls Club in Salisbury which has started a club for collecting and swapping the cards.